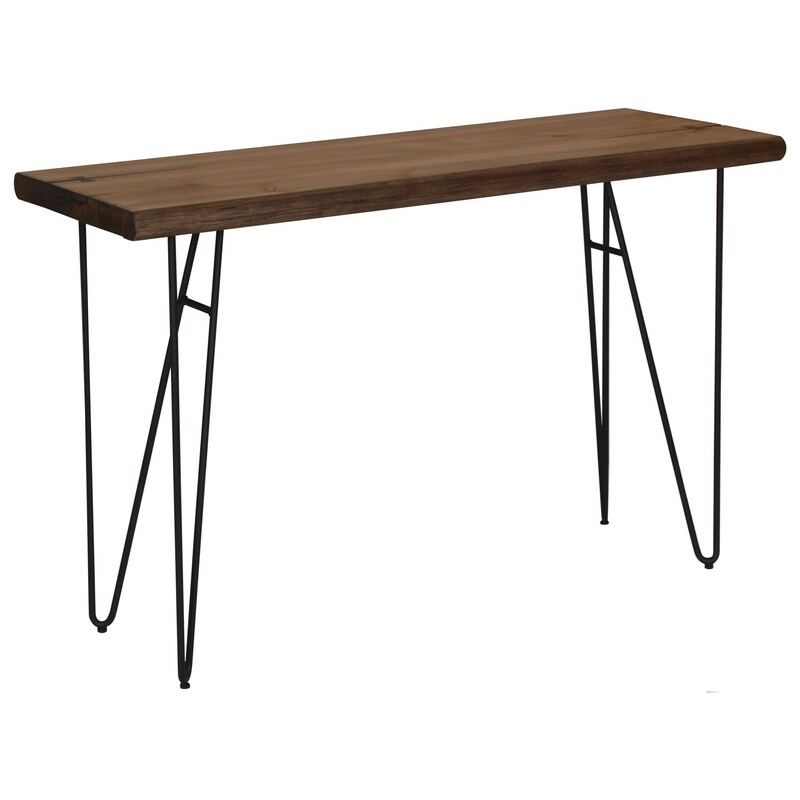 Add an atmosphere of authenticity to your living room with this mid-century modern sofa table. The hairpin metal legs enhance the genuinely retro design to the piece, adding an uncommonly stylish feel to any room. The solid mahogany and hickory veneer and unique live edge add to the durability and genuine feel of the piece, while not costing nearly as much as an actual cross section would. Perfect for placing photos, decorations, or reading materials, this coffee table will help to create a space that your friends and family will never want to leave. The 70566 Live Edge Sofa Table with Hairpin Legs by Scott Living at Ruby Gordon Home in the Rochester, Henrietta, Greece, Monroe County, New York area. Product availability may vary. Contact us for the most current availability on this product. Browse other items in the 70566 collection from Ruby Gordon Home in the Rochester, Henrietta, Greece, Monroe County, New York area.